Well, it was nice while it lasted. 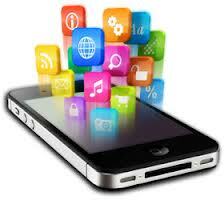 App developers have had a pretty lucrative playing field over the past several years. But like so much else in cyberspace where there’s a “drive to the bottom,” paid apps are no longer the path to guaranteed revenue riches they might have been once. According to mobile market research firm Research-2-Guidance, total paid app revenues continued to grow in 2012 – and by a healthy rate of 27% — to reach $8 billion. But at the same time, the average revenue generated per paid app fell at the very same 27% rate. As a result, the average revenue generated per paid app declined from ~$26,700 in 2011 to just ~$19,500 in 2012. Research-2-Guidance posits that the decline in average sales per paid app could ultimately lead to a situation where developing paid apps is no longer a profitable endeavor. “There are now so many applications available that supply even exceeds demand,” company spokesperson Vincenzo Serricchio noted in a summary statement. In line with the notion that “everything in cyberspace wants to be free,” information technology research and advisory firm Gartner projects that by 2016, nearly 95% of app storefront downloads will be free rather than paid apps. And even among the paid apps, the Gartner analysis estimates that nine out of ten of these app downloads will be priced at $3 or lower. Yet another forecast – this one by Strategy Analytics – predicts that the average price for all phone apps (free and paid combined) will drop to just 8 cents per app by 2017. Most major brands don’t really care about pushing paid versus free apps, as they typically use them for boosting branding exposure and engagement rather than for revenue generation per se. However, with so many quality free app options being offered, the question is how many app developers – particularly those in the gaming field – ultimately will find the new landscape unprofitable or otherwise unpalatable. ← Delaware’s unclaimed property gambit: Small state … Big bucks.